Sometimes we all feel that we need to do it all. We need to be perfect, or at least exceptionally good at everything. This is a lot of pressure to put on ourselves, but we do it. It is at times like these that it helps to think of those who have gone before us who have had struggles. 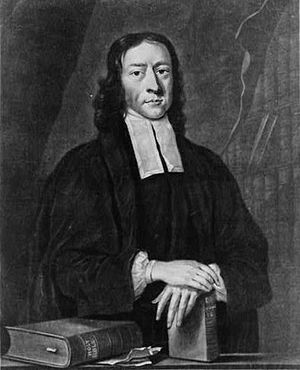 John Wesley was the founder of the Methodist movement. The Methodist movement includes many denominations including the United Methodist Church. John’s brother, Charles Wesley, wrote many hymns and supported his brother in the founding of the movement. They were great preachers and teachers. Charles Welsey’s hymns are still being sung. John Wesley’s sermons are still read and quoted. They are great leaders of the church. Yet, both had their struggles. Neither was successful when they came to the colonies. Both left in disgrace. There were problems relating to people. There were relationship conflicts. The founder of my denomination had an epic fail. Yet, he went on to greatness. None of us are perfect. We all have strengths and weaknesses. Yes, we can try to improve our weaknesses, but there are always things that we cannot do as well as others. It is okay for us not to be strong at everything. We must give ourselves permission to have both strengths and weaknesses. We must allow ourselves to celebrate our gifts and graces as well as acknowledge our weaknesses. When we work from our strengths, we find ourselves able to do great things. When we use our gifts, then we are building up God’s kingdom. Let’s remember that no one is good at all things, even us.